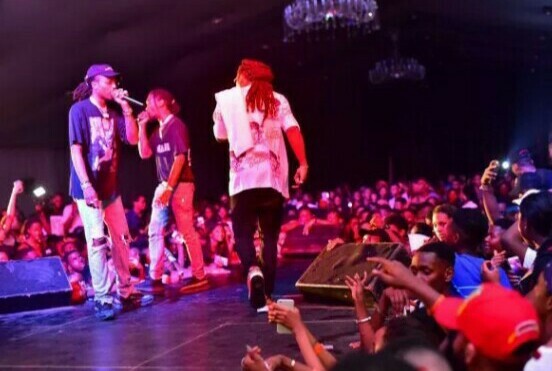 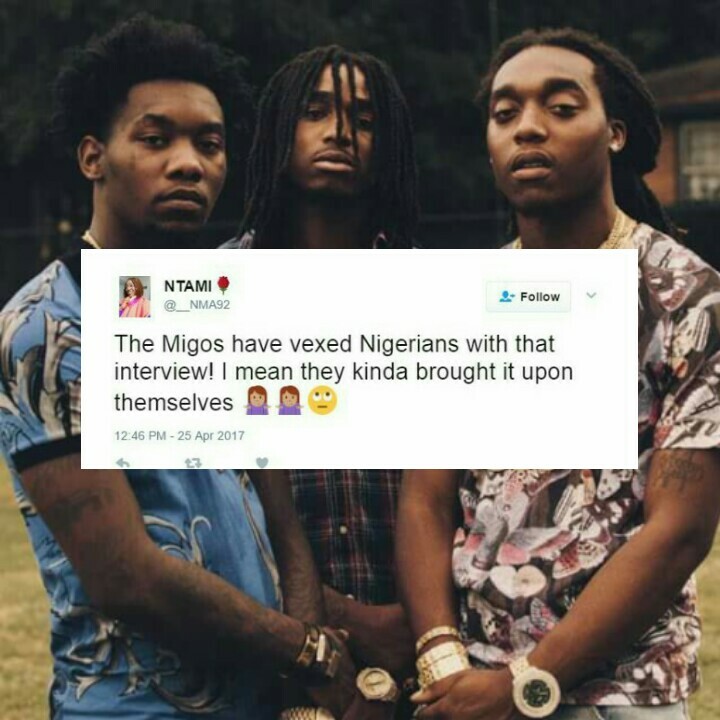 ​American rap group Migos performed in Nigeria afew weeks ago at a show organized by The Beat 99.9FM. 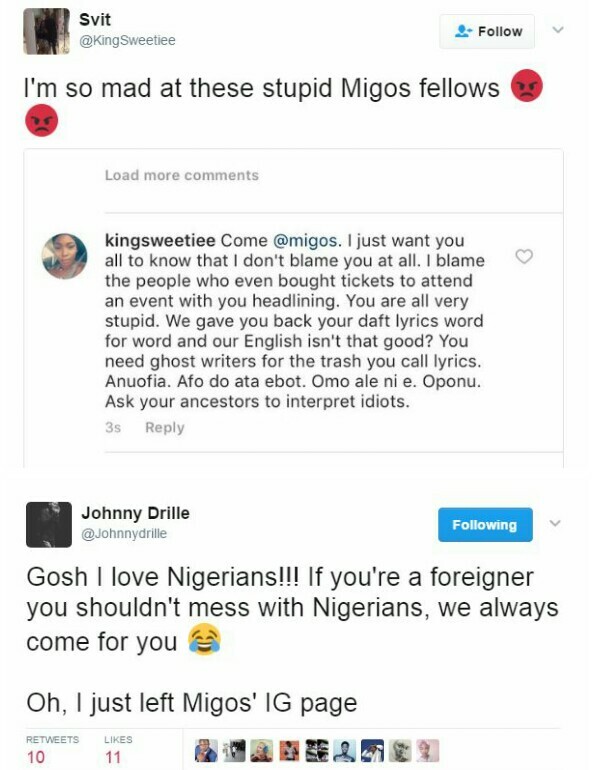 The performance was so good Nigerians sang along with the group and knew their lyrics word for word, which the trio found really impressive. 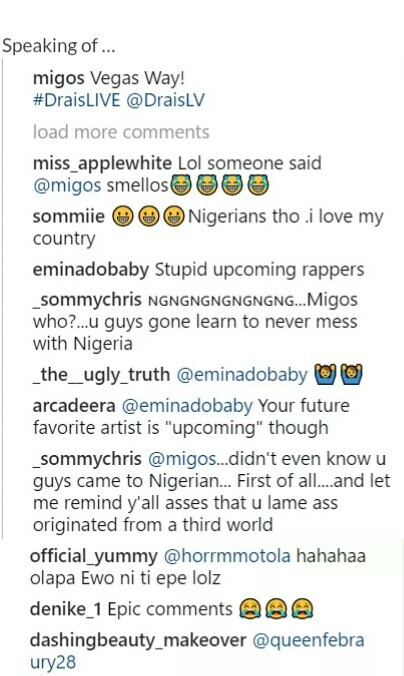 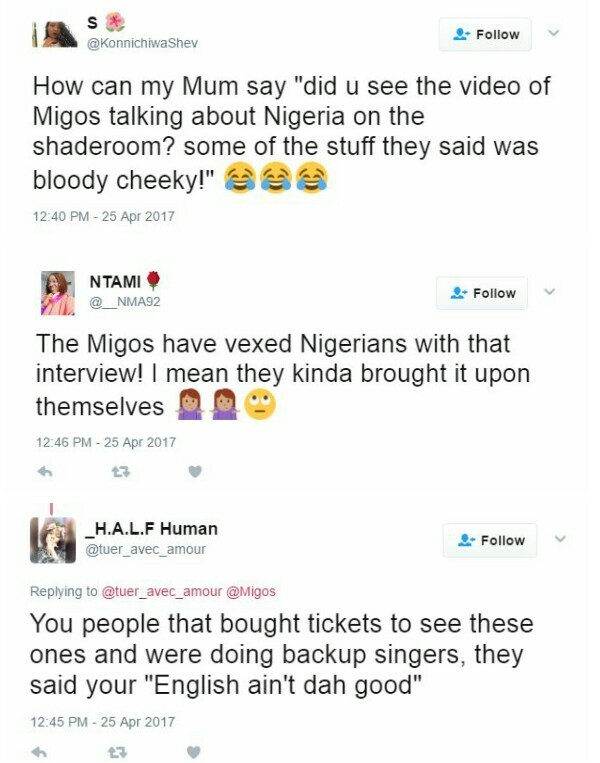 Migos said they enjoyed their performance in Nigeria, and that it’s a third world country that is struggling. 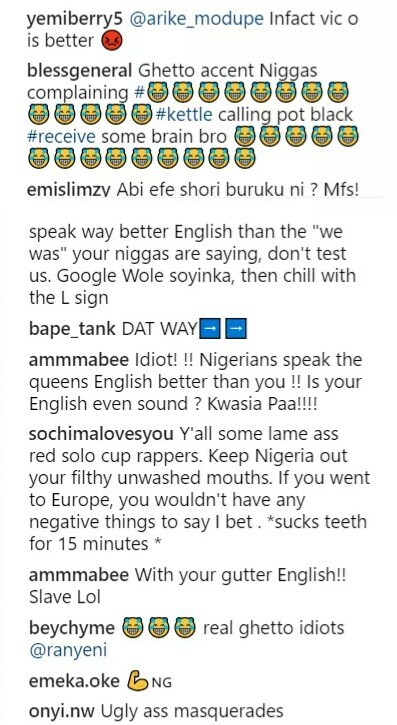 The rap trio added that the crowd sang their lyrics word for word, even though Nigerians’ English wasn’t that great. 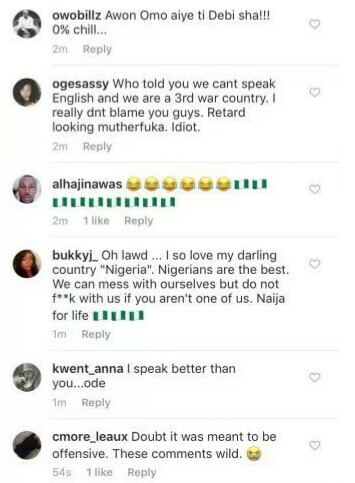 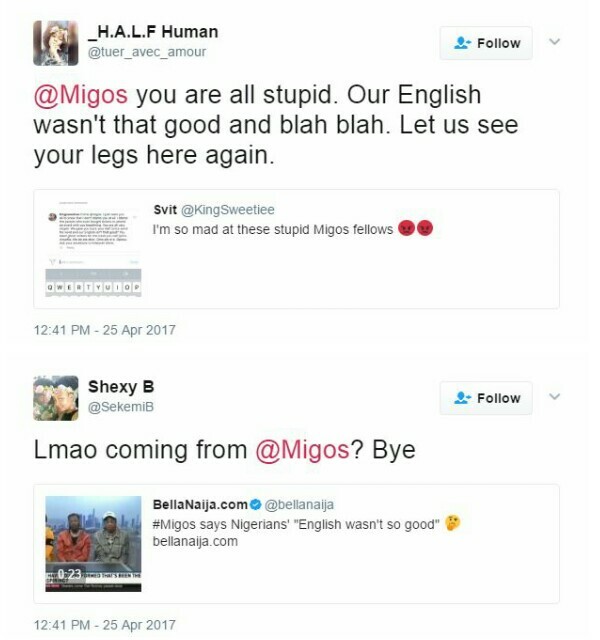 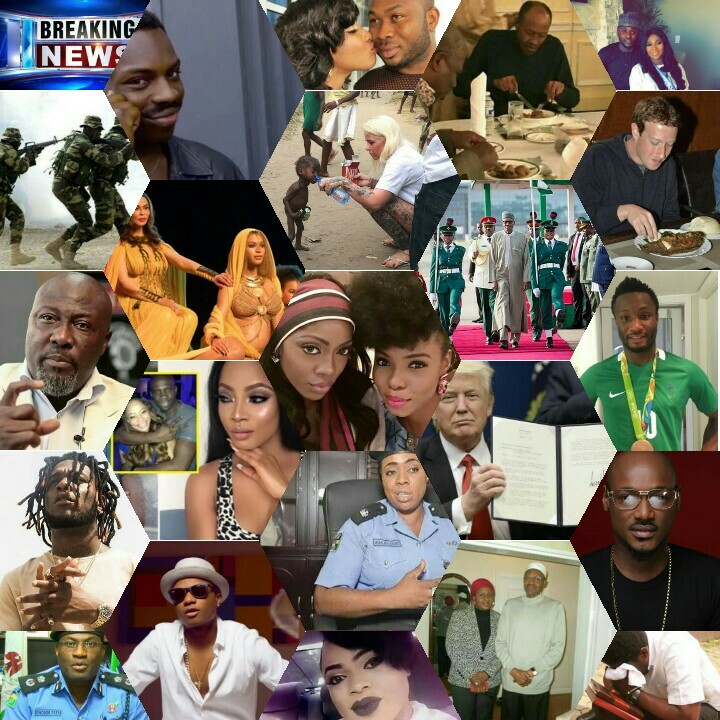 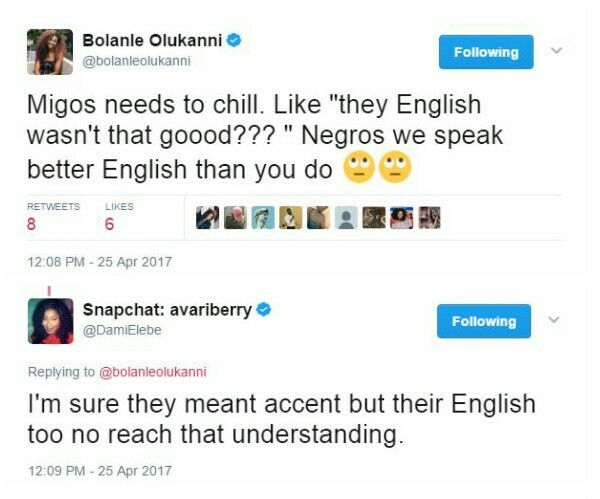 This interview irked Nigerians and they came out all claws for the “ghetto english speaking ” group on Twitter.